First Resources’ 3Q18 earnings of US$39m was in line with consensus. Performance was driven by strong yield performance. Output to continue to drive performance in 4Q18. Maintain BUY with unchanged Target Price of S$1.97. Robust earnings performance in 3Q18. First Resources’ (FR) 3Q18 net earnings reached US$39m (+22% y-o-y, +9% q-o-q), largely in line with consensus and slightly above our expectation. The robust performance was driven by stronger than expected profitability, even though the crude palm oil (CPO) price environment remains challenging. The weakening IDR currency trend against the US dollar also supported overall profitability performance in the quarter. Revenue reached US$171m (+25% y-o-y, -5% q-o-q), in line with ours and consensus forecast. CPO average selling price (ASP) reached US$526 per MT (-9% y-o-y, -7% q-o-q). CPO sales volume reached 241k MT (+28% y-o-y, +26% q-o-q), mainly driven by strong output performance. Where We Differ: We like FR’s organic growth prospects. We believe First Resources’ young trees will continue to boost its CPO yield and drive CPO volume growth. Higher CPO yields on maturing trees will improve First Resources’ ROIC and profitability on the back of better operating scale, resulting in strong earnings growth momentum ahead. 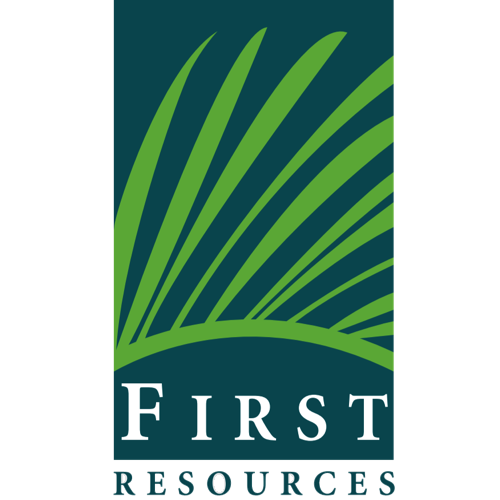 First Resources’ aggressive planting in East and West Kalimantan between FY12 and FY14 should contribute to the group’s strong volume and earnings growth in FY19F. Potential catalyst: Consistent earnings delivery. We believe consistent earnings delivery should move First Resources’ stock price higher. Moreover, a more stable CPO price outlook will mean that First Resources’ earnings growth will be driven by volume and CPO yield expansion. CPO output may affect CPO price trend. Stronger-than-expected yields across Indonesia and Malaysia may pressurise CPO price trends next year. 3Q18 earnings: In line with consensus, above our estimate. First Resources’ 8Q88 net earnings reached US$88m (+88% y-o-y, +8% q-o-q), largely in line with consensus and slightly above our expectation. The robust performance was driven by stronger than expected profitability performance, amid the current challenging crude palm oil (CPO) price environment. The weakening IDR currencies trend against US dollar also supported overall profitability performance in the quarter. This was seen in higher profitability q-o-q, despite the weaker CPO trend. Revenue reached US$888m (+88% y-o-y, -8% q-o-q) also in line with ours and consensus forecast. CPO and Palm Kernel (PK) average selling price (ASP) reached US$888 per MT (-8% y-o-y, -8% q-o-q) and US$888 per MT (-88% y-o-y, -8% q-o-q) respectively, due to lower benchmark prices. CPO and PK sales volume reached 888k MT (+88% y-o-y, +88% q-o-q) and 88k MT (+88% y-o-y, +88% q-o-q), mainly driven by strong output performance. Total processed fresh fruits bunches (FFB) reached 888.8k MT (+88% y-o-y, +88% q-o-q), with nucleus fruits output reached 888k MT (+88% y-o-y, +88% y-o-y) and external purchases was 888.8k MT (+88% y-o-y, +88% q-o-q). CPO and PK production were 888k MT (+88% y-o-y, +88% q-o-q) and 88k MT (+88% y-o-y, +88% q-o-q) respectively, with trees CPO yield and extraction yield at 8.8 ton/ha and 88%. Robust production performance was also driven by yield expansion of its young trees (88 years old). We believe the strong performance to sustain next year. First Resources’ aggressive planting in East and West Kalimantan between FY88 and FY88 should contribute to the group’s strong volume and earnings growth in FY88F. Despite the strong performance to date, we are keeping our forecast unchanged, as we are anticipating a softer production in 8Q88 which may affect FR’s profitability performance on the back of the current low CPO price. We have also factored in a continuing robust performance next year and project First Resources’ net profit to reach US$888m (+88% y-o-y) in FY88, before growing further by 88% y-o-y to US$888m in FY88, mainly driven by better yields. The strong output not only helps to grow earnings together with better CPO prices, but also keeps cash cost per hectare low. Maintain BUY rating with unchanged Target Price of S$1.97. We maintain our BUY rating with unchanged Target Price of S$8.88. First Resources is one of our top picks in the plantation space given its young trees, which underpins organic growth. Cost escalation from labour wages and fertilisers are well hedged by its improving yield performance. Yield performance implies sound earnings performance and continuous cash accumulation to pursue inorganic growth potential if an opportunity arises or to reward shareholders with dividend.